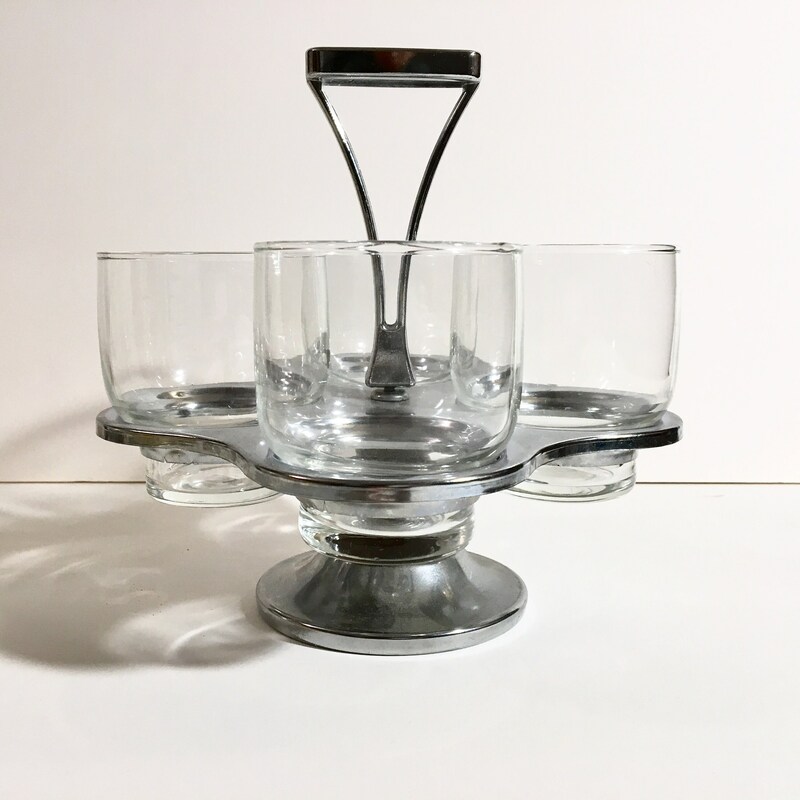 Carrying tray with 4 cocktail glasses/low tumblers. Can also be used as a condiment tray (2 plastic serving spoons included). Rack spins like a lazy susan. 8oz glasses measure 3.5" tall.